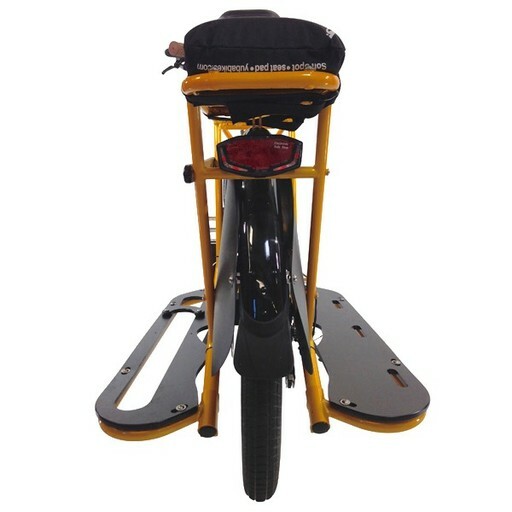 The towing tray makes it possible to bring along any bike from a 12″ up to a 29er, with a tire width of up to a 2.25″. It is made out of sturdy recycled milk jugs; it is durable and tough. 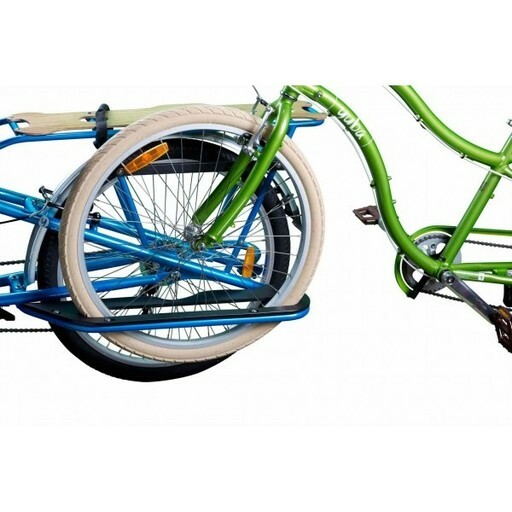 A side bumper will keep the towed bike from scratching your Mundo. Towing tray kit includes running board with a slot for front tire, adjuster for 20″ 16″ or 12″ tires, and bumper. After installation, to use the towing tray, adjust the support for the size of bike with a screwdriver. Then, use a cargo strap to attach the towed bike to the Mundo frame, locking the front tire of the towed bike down to the frame of the Mundo, as shown at left. 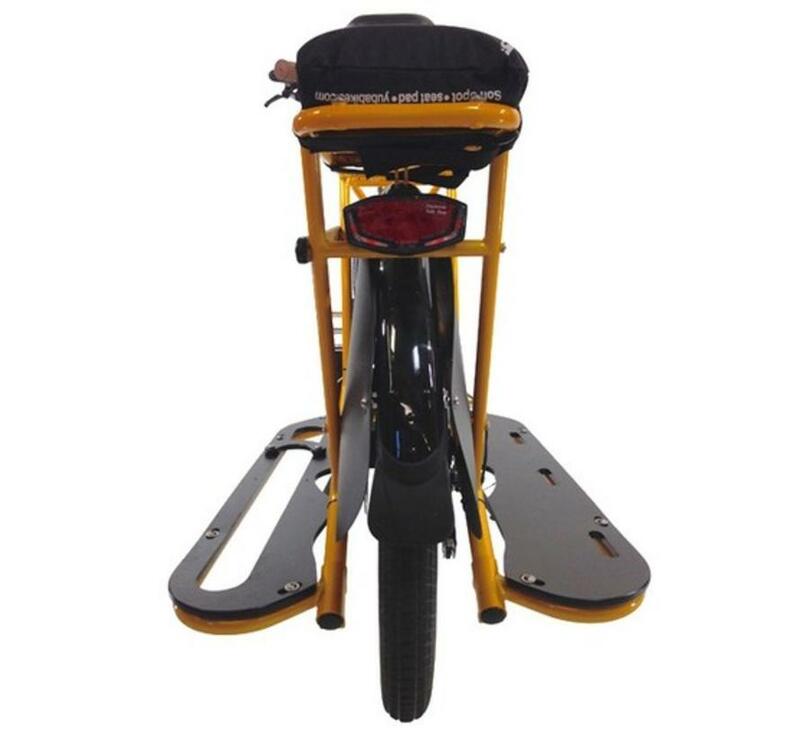 Note: Tow Trays are compatible only with the Mundo V3, Mundo Classic and Mundo LUX. Tow a bike while on your bike!